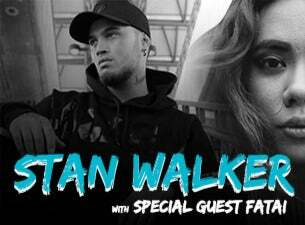 It is with deep disappointment that Stan Walker announces the postponement of his nationwide ‘New Takeover’ tour today, which was due to launch in Invercargill on November 3rd. Stan has made the very difficult decision to postpone the tour for the foreseeable future, after the recent and sudden news that his Mother, April Walker, has been diagnosed with breast cancer. Stan says of the news, “friends, it is with sadness that I need to postpone my tour. I need to be with my Mum while she recovers from breast cancer. All we need as a family is your love and prayers”. At this time, Stan wishes to apologise to his fans for any inconvenience this may have caused, and he hopes fans understand the importance of him dedicating this time to his family. Stan also wants to thank his fans and the media for respecting the privacy of him and his family at this time.